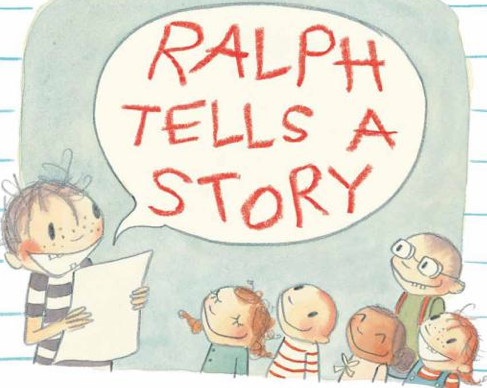 I LOVE the new book, Ralph Tells a Story by Abby Hanlon. I ordered it when I heard about it because I can always use new books about kids' writing. I like to have them handy for minilessons ans small group work. There are lots of books that fit this category but this one is definitely my new favorite. This book is about writing workshop and poor Ralph who can't think of any ideas. He spends a long time staring at the blank page, getting drinks of water and asking to go to the restroom. He just can't think of anything to write. Of course, as expected, his writer's block is cured but it is cured because he is in the midst of an amazing writing workshop. But the magical thing that ends his writer's block happens during the share session of the workshop--that important time where writers grow. This is the first time I have seen a book that so perfectly captures the Writers' Workshop. It captures the joy and the authenticity of this time in a classroom. It captures the teacher's role and it captures the energy. It captures the conversations and the realities. Somehow in the illustrations, the author/illustrator has captured it all. (The back flap says that she was a classroom teacher, so maybe that's how she captures it so well! In my opinion, this is a must have. Young children will love it and I am sure it will start great conversations with my upper elementary students too! And don't forget to check out the end papers! Thanks for sharing this book. I'm going to have to locate a copy as it sounds perfect for our beginning of year conversations. Oh my goodness! A K teacher just shared this book with me yesterday, and I ordered it right away. A true charmer! Thank you for the recommendation. It sounds perfect. 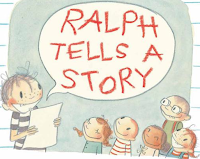 Dear Franki and Mary Lee, I was thrilled to read your review of Ralph Tells A Story. I wrote the book when I was a first grade teacher because I felt like it would be a great book to have for Writer's Workshop. I'm so glad that the book's intention is coming through. Thanks so much for spreading the word!